Home › Home and Kitchen › Smarthomes Digital Cooking Thermometer - Ideal Oven Temperature Probe For Foo..
Smarthomes Digital Cooking Thermometer - Ideal Oven Temperature Probe For Foo.. The ONLY Digital Cooking Thermometer You'll EVER Need The Perfect Companion ToYour Cooking Needs If you want to whip up the perfect dish, controlling thetemperature is KEY. You'll need to know whether the temperature of your meatis too high or too low, and you need to know it FAST. That's when you whip outthe handy SmartHomes Instant Read Digital Thermometer and check the cookingtemperature in mere seconds! Fall in love with the SmartHomes Instant ReadDigital Thermometer Press "ON", stick it into the meat, and PRESTO! 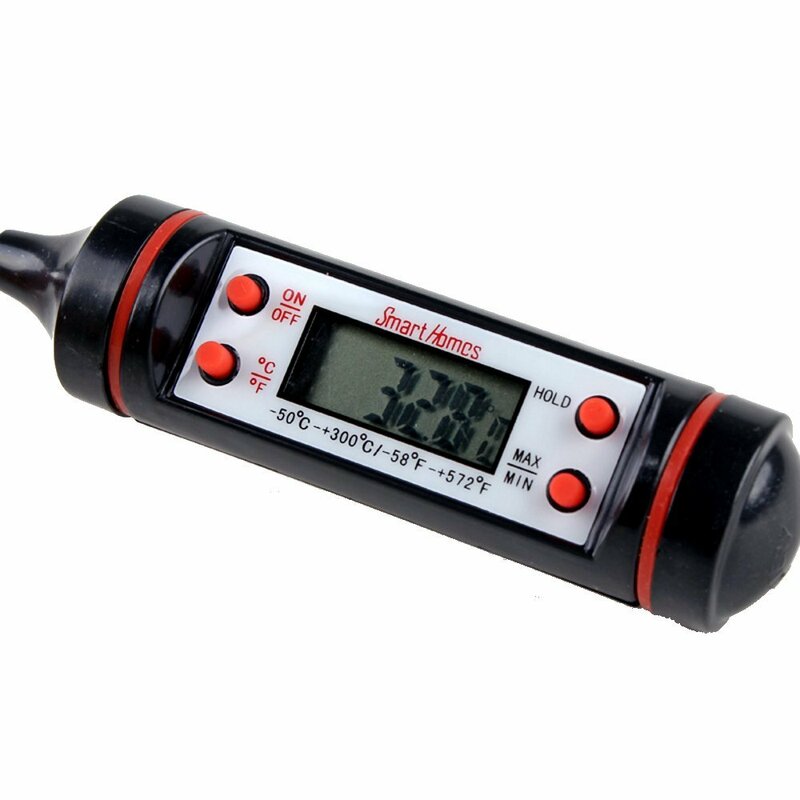 You getan accurate temperature of up to 0.1C/F in mere seconds! Forgot to turnthe thermometer off? No problem! Your SmartHomes Digital Thermometerautomatically shuts off after 10 ~ 15 seconds of idle time. With atemperature measurement range of -50C (-58F) to 300C (572F), you instantlybecome your own unstoppable kitchen master chef! Keep your thermometer orbring it anywhere with you in its unique slim-fitting designer casing thateven comes with a funky easy-grip handle. If for some reason you don't LOVEyour new SmartHomes Instant Read Digital Thermometer, simply return it andwe'll refund every penny or replace it if there's a problem. SATISFACTIONGUARANTEED Go ahead and get the LAST digital thermometer you'll ever needtoday. Consider getting 3 ... one for yourself, one for your best friend, andone for your mom!